Welcome to Malign Portents, a huge project from Games Workshop that will push the timeline of Age of Sigmar on and usher in a much darker time of the game. I have been lucky enough to have had an advanced copy for a while to look through and I gotta say, it is fantastic. In this book you will get new ways to play as well as great updates on existing ways too. The book contains new battleplans for Skirmish, Narrative and even Matched Play! So no longer are tournaments going to be refined to the 6 in the Generals Handbook 2017. 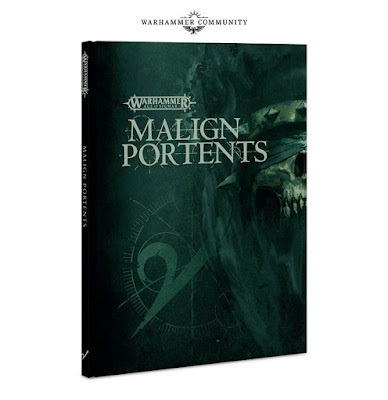 It also contains new warscroll characters and new tables to roll on to represent the Portents waxing and waning in the Mortals Realms. 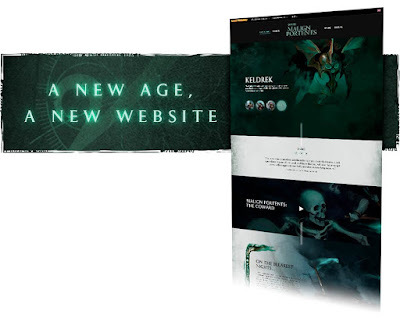 As well as this book, you also have had access to the http://www.malignportents.com website which has given you a wealth of information of this new era. There has been 2 new short stories a week and this looks like it will continue too, you can also watch videos of the narrative progression of the Harbingers (new Characters for each Grand Alliance). A closer look at the Mortals Realms and how they are formed and a great catch up timeline of what has happened so far. The first part of the book goes into the lore, it is a huge leap on the timeline as the new age is ushered in. Nagash has regained most of his strength and his minions have swamped The Realm of Shyish. The Harbingers, the ones interpret the Portents have been watching for a while gathering information on this. feeling of disquiet into a palpable aura of dread. This straight away gives you a new sense of where we are, it will be interesting to see if this is a one off, or this is now the norm. 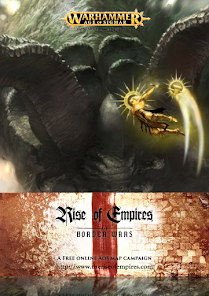 The next part of the Lore section catches you up to this point detailing Chaos' Ascendance, the Vengence of Azyr and also again a more detailed look into the Mortal Realms. We also get a look into the new (old) scenery piece, the Warscryer Citadel. Warscryer Citadels are impressive strongholds built upon meteorites hurled by Sigmar himself. These heaven-sent monoliths, named scryer-stones by those who first discovered them, are potent sources of celestial magic – those who master them gain the power of prophecy. 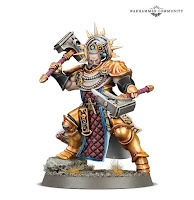 Sigmar then releases his new Stormcast Hero, the Lord Ordinator! The new Eternals sought out the Citadels and begun their work interpreting the omens, most were reclaimed by Order, but Destruction, Death and Chaos soon also realised the power of these and begun their work too. We then dive into the backgrounds of the Harbingers and the Realm of Shyish, I wont go over these as the stories are too good, especially the new look into The Realm of Death. Nagash has definitely been busy.. 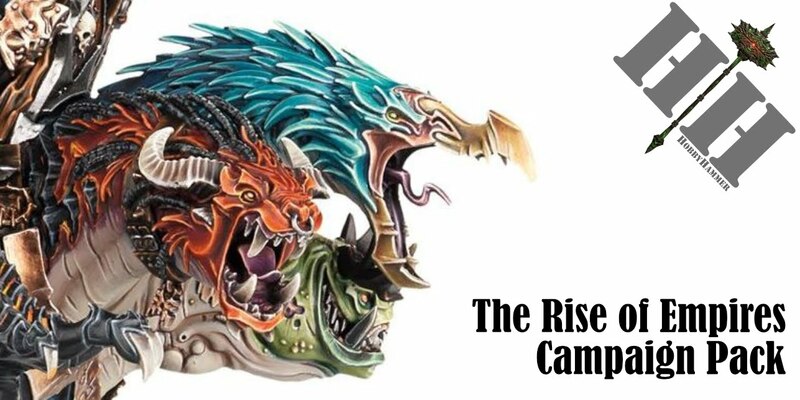 The main meat of the book is the Time of Tribulations, this section gives you new Times of War rules for the Realm of Death, whether that is for Narrative play or Skirmish battles, The Malign portents themselves which is a point system allowing you to generate and interpret different portents and give your army one off abilities to use in Age of Sigmar games, new battleplans, the warscrolls for the Harbingers and scenery pieces. In order to determine the effects of the power of death in your games of Warhammer Age of Sigmar, make a note whenever a unit is slain on the battlefield. At the start of the following hero phase, the player whose turn is taking place rolls a D6 and adds 1 to the score for each unit (friend or foe) that was destroyed in the previous turn. The player then consults the table below to see what effect the power of death has in their turn. No roll is made on a turn in which no units were slain in the previous turn (such as during the first turn of the first battle round, for example). This part of the book is great, it is another part you will need to remember it is there and could be forgotten quite easily as you need to remember how many units have been slain. It is very similar to playing with Coalition of Death rules. If you do anything with this book though, use these are they feel the most thematic to playing Malign Portents. This is the meat of the book, the whole point of it really. It acts like Blood tithe or Contagion Points and furthers my view that it is the new go to mechanic for Battletomes etc. Having rules to use in Matched Play games is something I hope is adopted in tournaments, but unfortunately I can only really see this being used in Narrative events or club campaigns that prefer Matched Play but want something more. The system itself is slick and easy to use, building Prophecy Points is quick but none of the abilities are game breaking, little bonuses are always great. 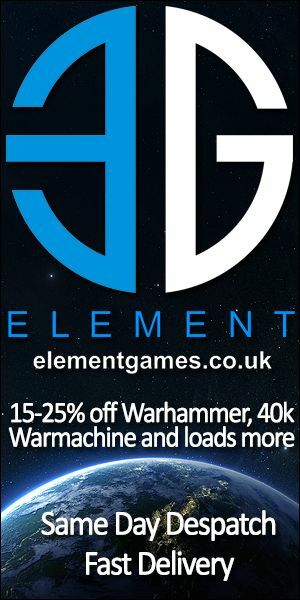 There is a number of new battleplans for Skirmish, Narrative and Matched Play, if you are playing in the Coalescence Event in March, you will be playing through the Narrative Battleplans in this section. The Matched Play ones are interesting too and I would love to see these adopted by the tournament scene as extra options to pick from. Each of the four new Harbingers have new warscrolls (and points values) to use in Age of Sigmar, each Harbinger also gets their own portents to use too! 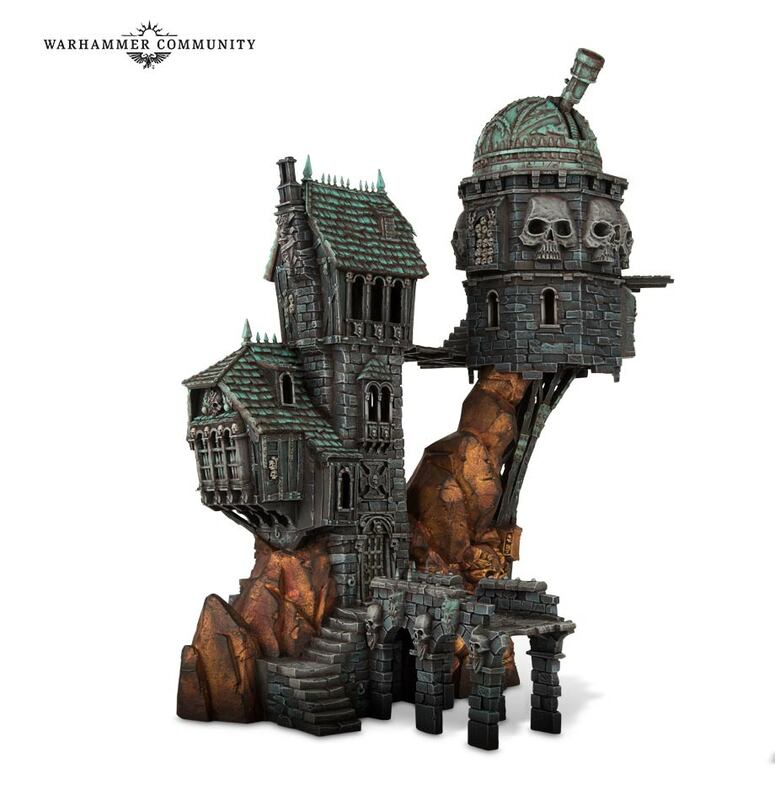 There is also a new scenery kit which is the old Skullvase Manse, this is the Warscryer Citadel and has cool new abilities to use too. There is one stand out Character on this and if you have seen the leaked warscrolls you will know this is the Ordinator.. buffing War Machines is huge as they are already powerful options and in abundance within the Order Alliance, All the models themselves are fantastic, my favourite being the Knight of Shrouds. So that's it... in a nutshell. This is literally a snippet of what is in the book, think of it as a Realmgate War campaign book on steroids! It is a supplement of a new way to play like Path to Glory, a Generals Handbook all combined together. It is immense and I can not wait to start playing some games down the club with it. Thanks for posting this! 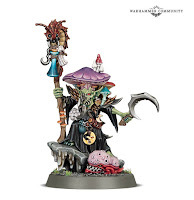 Can't wait to get my mitts on the book (and a shroom-brained shaman) myself.